The idea of a device dedicated and designed exclusively to the task of reading is extremely appealing to me. I have a tough time staying focused for more than a few minutes when working or reading on my laptop, so the Kindle would help in that regard. But as tempting as the new $139 price tag is, I’ve still got some big issues with eBooks in general, and the Kindle in particular. Second, both Casey and I are pretty heavy users of our local library. I even have my handy LibraryLookup bookmarklet ready at a moment’s notice to see if the book I’m looking at in my browser is available to borrow locally. But so far, there has been no word on a library lending feature for the Kindle. The Barnes and Noble Nook is supposed to give you the ability to borrow eBooks from libraries, but searches on the topic bring up little information, and I’m certain the Grand Forks Public Library does not offer this option right now. Third, I have a dozens – if not hundreds – of PDF documents and eBooks on my computer that I would love to be able to read on a more convenient device. Recent versions of the Kindle software does support PDF files, but from what I’ve read and heard, it’s a painful viewing experience on the Kindle’s e-ink screen. And the built-in PDF reader on the Kindle 3 is supposed to be “improved”, but I’ll leave that to the Kindle veterans to determine. I know an iPad would do this job well, but I cannot justify a minimum $500 expense for a portable PDF reader. Fourth, I’ve accumulated a bookcase of nonfiction books over the last five years or so that I still have yet to read, and there’s no way I’m going to pay a second time just for the privilege to have them in electronic form. But if Amazon had a feature where I could “upgrade” books I purchased from them in the past for a dollar or two after verifying ownership via a webcam barcode scan – I’d be all over that. 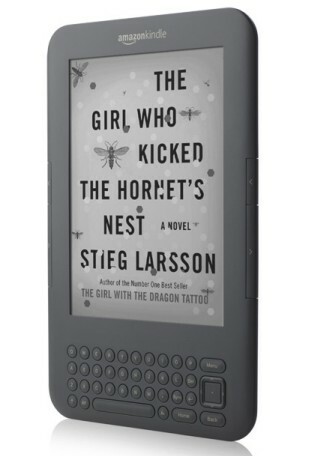 On the other hand, while the Kindle and other e-ink based eBook readers have their share of technical and legal/political limitations, there’s still a lot there to make me want one. First, while the Kindle store is by far the easiest way to buy new books for the device, there are other options. Besides the DRM-restricted Kindle file format, it also natively supports text files and Mobipocket files. You can also send a number of document and image formats to your @kindle.com email address to have Amazon automatically convert them to a native file type. Merlin Mann swears by it, so I know it’s good. I also save and read a lot of long-form web content using the InstaPaper web service, and it’d be great to have a first-class reading experience with it. InstaPaper offers the ability to deliver bundles of saved articles to your Kindle, and it seems to be done very well. So as you can see, I’m conflicted. I love knowing that the books I own are, in fact, mine, and that I’m free to use them as I please. I’m skeptical that the Kindle can successfully display many of the PDF documents I have. And I hate the fact that you can’t borrow eBooks from the library or “lend” one to a friend (Nook aside). But the Kindle is now cheap enough and open enough that it could make a good reader for news, articles, and books. If Calibre could convert my library of technical documents and PDF eBooks with a minimal amount of formatting issues, I’d instantly have years of content to read without ever buying a book from the Kindle store. get a kindle and download calibre convert your ebooks and pdf to kindle mobi format and you’ll be good to go. i love my kindle and agree with you about the ipad heaviness when reading.